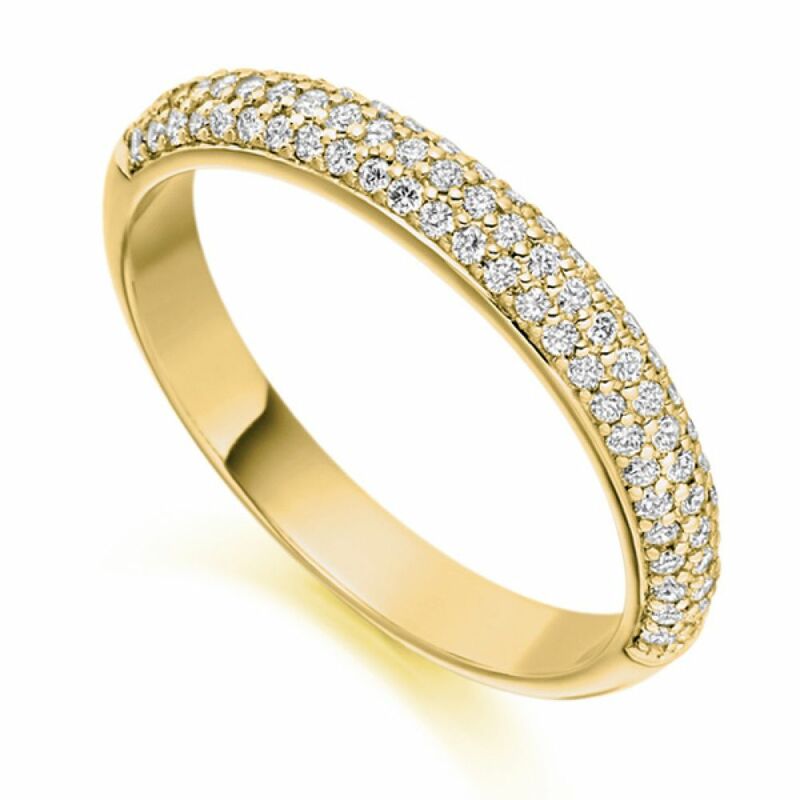 Luxurious half diamond set eternity ring, pavé set with 0.40cts of round brilliant cut diamonds in a 3.1mm wide band. 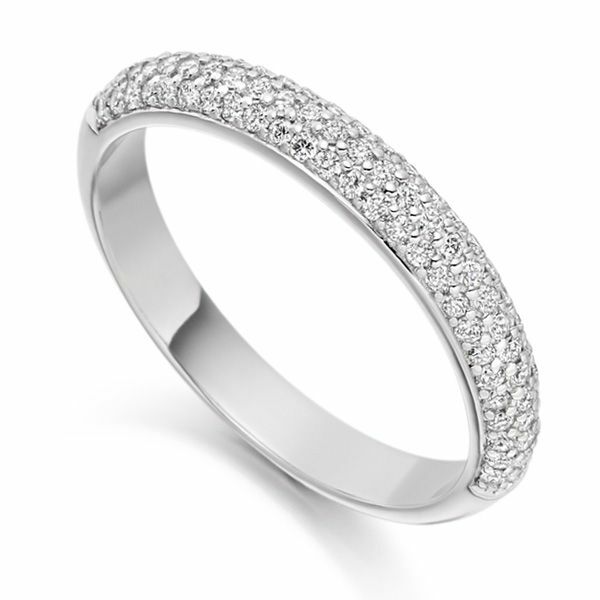 This breathtaking Eternity Ring features Pavé Set Diamonds over a triple row D profile band. Each brilliant white Diamond has been expertly matched and precision set to have 0.40 carats total. The band is 3.10mm wide making the Diamonds dazzle with brilliance and scintillation. Available in a range of precious metals including 18ct White Gold, 18ct Yellow Gold, 18ct Rose Gold, 950 Platinum and 950 Palladium. This beautiful ring is crafted within 4 weeks and arrives hand-delivered by secure courier with 60 days returns, a lifetime warranty and a detailed insurance valuation.